According to CareerBuilder, managers involved in company hiring processes receive, on average, 75 resumes for each position they post. As you might imagine, the sheer volume of documents that pass their desks means they cannot spend time going through each one in detail. One study suggests that these managers spend approximately six seconds deciding whether a candidate is a good fit for them. 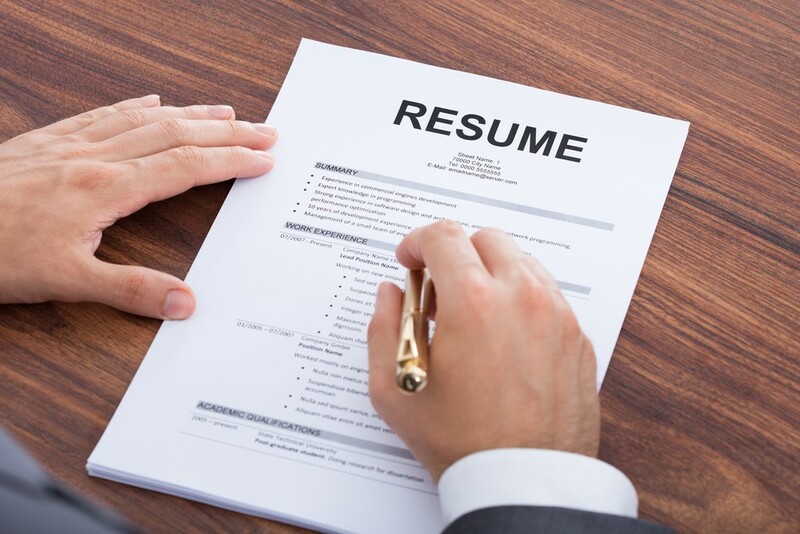 If you don’t want to be dropped after those first few seconds, it’s important to craft a resume that highlights your skills and omits unnecessary information. To that end, here are five things you should avoid when deciding what to include on your resume. To get a better idea on how your resume should look like, depending on the job you’re going to apply for, visit IResumeCoverLetter, a site you will find examples and tips of cover letters and resumes. Your objective when submitting a resume is self-evident because you’re trying to get the position. However, this item makes the list because it’s important to remember there are exceptions to the rule. For example, if you’re switching from one field to an entirely different field. It might be helpful in such cases to include a very brief summation as to why you’re switching, what your goals are, and why you would be a good fit coming from another industry. However, do be sure to keep this portion of your resume short if you think it applies. Employers might choose you if they see how your unique experience in another field helps them, but not if it takes too long to explain your value. You should always review your resume for formatting errors prior to sending it to the prospective employer. That’s because the format of your resume is equally important as the content you put in it, and a page that has messy formatting or unnecessary formatting is at risk of getting tossed out. Stick with the same format throughout the resume, but consider making it one that is easy to scan for goals, work experience, and qualifications. By the same token, you should avoid putting any graphs or charts in your resume. Many employers rely on applicant tracking systems to help them pick out the best candidates from their pool of possibilities. These kinds of formatting errors will confuse those systems and make it harder for employers to find you. This is a common mistake among many applicants. It may seem counterintuitive at first, but most employers are not interested in your entire work history if you’ve already been in the field for several decades. As a rule of thumb, it’s best not to go over the past 15 years of your work history. This timeline should provide employers with your most relevant work history, so anything older than that probably won’t interest them. The same rule applies to any educational credentials you might have. While noting your most important and relevant educational achievements helps your chances, there’s no need to clutter your resume with anything older than the past 15 years. You shouldn’t include totally irrelevant jobs even if they are positions you held in the last decade. Anything unrelated to the new position should be omitted for the sake of clarity and brevity. Your potential employer is only interested in the skills that move their industry forward. Many people feel the need to pad their resumes with half-truths because they feel they don’t meet all the requirements for a job. While it is tempting to go this route to improve your chances, don’t get too creative with your resume. Prospective employers who are genuinely interested in you will take the extra step of verifying if what you say on your resume is true. Therefore, putting something untrue in your qualifications or job experience categories can hurt you much more than it can help. Furthermore, it isn’t even necessary to do this because, as one expert from CareerBuilder explains, almost half of all employers will still consider a candidate who meets more than half, but not all, of their requirements. Thanks to social media, buzzwords are more commonplace than ever. One place they probably don’t belong is on your resume. While it may not be true for all employers, many find that modern buzzwords look more like an attempt to seem smart than actually showing what you’ve accomplished. If you think a particular buzzword is a good fit for the job or field, it might be okay to use it sparingly in your text. For the most part, avoid common buzzwords of the day and choose appropriate substitutions instead. Instead of telling your new boss how often you may think outside the proverbial box, try mentioning a situation that you resolved creatively instead. With such a competitive job market these days, preparing your resume can feel like a daunting task. However, if you stick to what you know is true and keep the format short and simple, you stand a much better chance of making it past that crucial first scan.